This course includes complete instructions and a beautiful pattern for children age 6 months to 12 years of age. This short introduction will tell you more about the course. You are absolutely going to love it! Sign in now and see all the course content and all the other course goodies too! 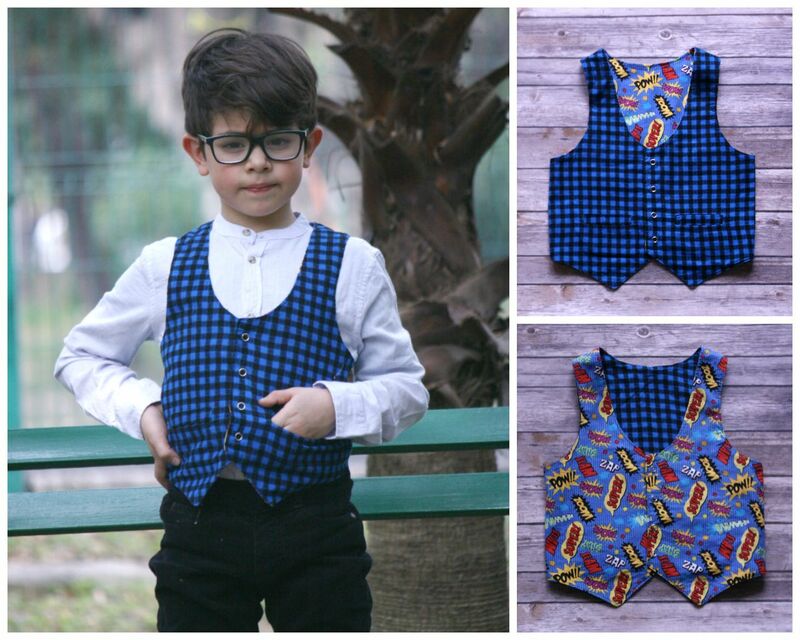 This boy’s vest is so well drafted, you will absolutely love it. It runs from 6 months to 12 years. 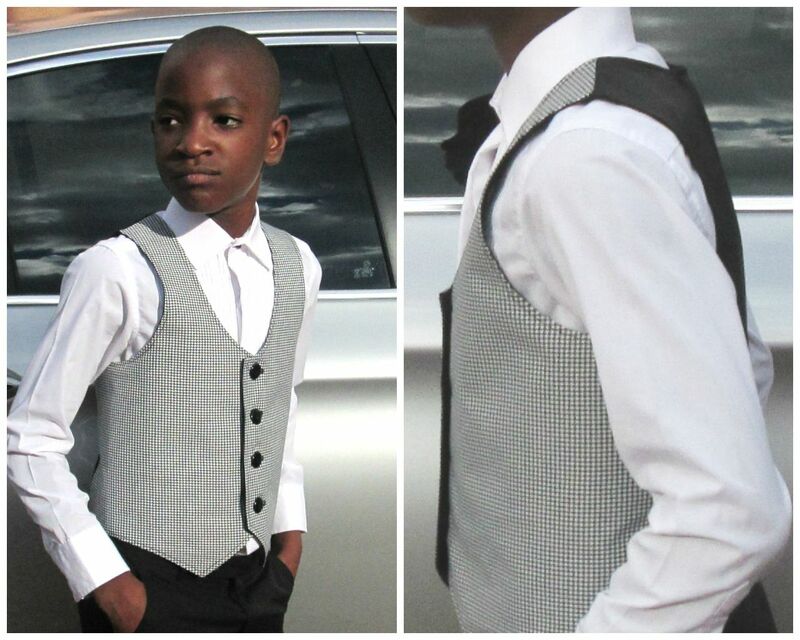 Whether it is for a formal occasion or just a cool casual look, this waistcoat is a cut above the rest. When you buy one of my patterns you can be assured that I will guide you through the whole process, so you know exactly what to do. The course will guide you from printing your pattern to choosing the correct size and making changes if required. This waistcoat has so many tricks up its sleeve, you won't want to miss it. I am even going to show you how to adapt this waistcoat for your little girl, complete with a beautiful collar. If you want to dip your toe in to the 'drafting waters' then this is your chance. If you are a confident sewer already and are fine working with the E-Book on its own, then you can visit the listing on frocksandfrolics.com to purchase your awesome waistcoat pattern without the video course. When I started my 'garage start up' 5 years ago, it was really a dream to put everything I learnt over the last 30 years to use. I started with a small YouTube channel with a handful of subscribers. The response to me leaving a career and going on the 'Tube' wasn't always positive. I was told sewing was outdated, no one sews anymore, it is a waste of time! Luckily I am a stubborn sort and took absolutely no notice at all. As a teacher I could see the joy in my students faces when they made something their peers wanted badly! One student was offered a substantial amount for her school project, an awesome dress creation! You just can't beat that feeling. I want you to have that feeling too. If you are like me and love the sound of scissors cutting through fabric, the beautiful drape of fabric and creating a truly special garment, then your learning starts here. You have a course for every pattern and dozens of free courses to choose from. There even is a free 'Sewing Workshop' with a series of complete beginners instructions. Sign up, choose your courses and meet the community. See it, sew it and be confident!